Left: The ceiling of a dormitory at the Arthur G. Dozier School is collapsing on itself after years of neglect. 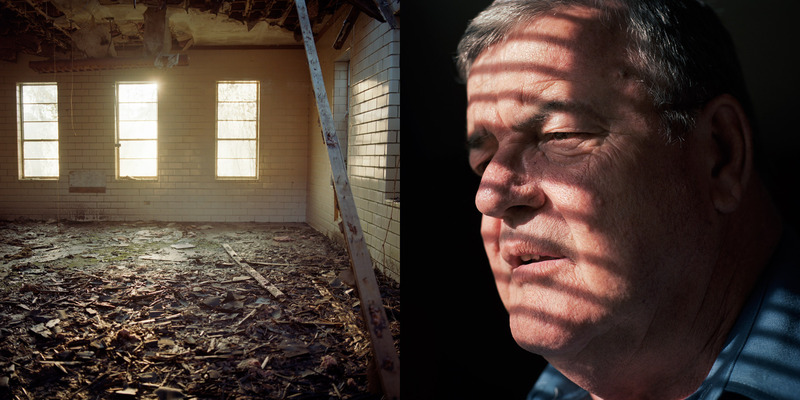 Right: Bill Haynes, 65, thinks a culture of fear at the Dozier School has haunted him for his whole life. "Trust was just not a word in Marianna," he says. "You don't trust anybody. I'm that way to this day... ultimately, the State of Florida is responsible for a lot of young boys being tortured."